Britain is at “very high risk” of an asteroid tsunami that could kill hundreds of thousands of people living near the coastline, scientists have warned. Researchers at the University of Southampton have developed software capable of predicting where asteroids are likely to fall. Scientists found that although Britain is unlikely to be hit directly by an asteroid, it is at risk of deadly waves caused by an asteroid impact in the Atlantic or North Sea. The announcement coincides with World Asteroid Day, an event co-founded by Queen guitarist and astrophysicist Dr Brian May to raise awareness about the importance of monitoring space rocks. Experts are currently aware of 500 asteroids in the solar system with the potential to strike Earth. While a total of 13,000 have been discovered and logged, there are thought to be a million asteroids in the solar system. PhD student Clemens Rumpf has developed a software program called ARMOR, which calculates the risk of asteroids hitting Earth and their likely site of impact. Britain was found to be at high risk of an asteroid tsunami because it is an island with lots of coastline. “We can now calculate where they could impact and the damage that would be caused so that we could get evacuation plans in order,” Rumpf said. “When an asteroid strikes, one of the biggest problems is a tsunami. Britain is an island with lots of coastline, and lots of people living there, so it is a risk,” he added. 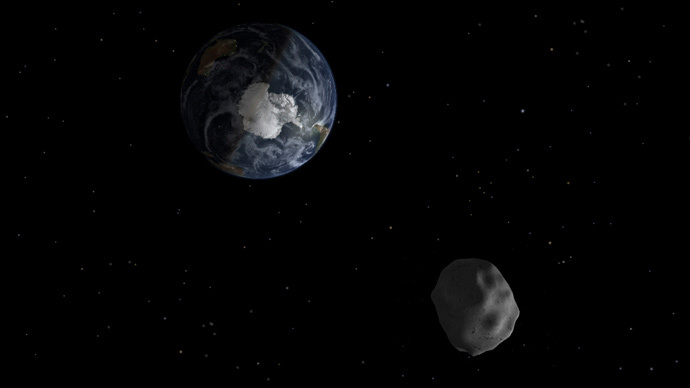 Scientists hope the new software could be used by organizations like the United Nations to prepare for potential asteroid impacts. A map depicting asteroid danger spots shows a high risk zone running through Europe, encompassing Spain, France, Germany, Scandinavia and Western Russia. The data factors in population levels, making southeast Britain one of the most at-risk areas on the map. The United States is largely risk-free, except for Florida and Louisiana, while Eastern Australia is particularly high risk. Hugh Lewis, senior lecturer in Aerospace Engineering at the University of Southampton, said: “It’s very easy to be flippant because of the Hollywood effect but it is a real risk. When you look at global vulnerability Britain is at very high risk. You might think that is odd because we are a very small country but we have a high population density on the coastline so that means we are vulnerable to an impact in the Atlantic Ocean. “Small asteroids are hitting the Earth all the time, and even if we don’t [get] anything large, we are still likely to have tens of thousands of people dying in the next 85 years. It has a similar death toll to other natural disasters. The last major asteroid to strike Earth was in 1908, when a space rock hit Siberia with the energy of 1,000 atomic bombs. Due to the sparseness of the area nobody was hurt, despite 80 million trees being felled over an area of 830 square miles. Researchers estimate if the asteroid had struck London it is likely to have killed everyone within the M25 motorway that rings the capital.